THANK YOU FOR WATCHING MY YOU TUBE CHANNEL. THE FOLLOWING LINKS BELOW WILL SEND YOU TO THE SITE REFERENCED IN THE VIDEO. Essential oils are simply amazing! Im curious why the very potent oils used to treat a wide range of health conditions successfully were abandoned by western medicine and pharmaceuticals took their place. This forgotten art of using essential oils can help you become less reliant on doctors and medication. 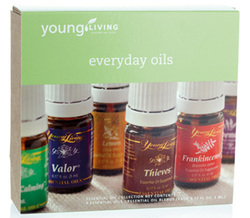 If you have watched my you tube channel, you can see the excitement I have utilizing these oils in my everyday practice. I also have a large set I use at my home. I find the investment in these oils save me the burdensome costs of multiple doctor visits and medications, not to mention the cost of treating the side effects from the medications. For my practice, I find my patients get better and feel better faster. With the rising cost of health care ( and everything else) I would urge everyone to start building your arsenal of oils. Click this picture and you will be sent to my essential oils site.